You are here: Home / SME Business Guides / The Ultimate Guide To Set Up A Bakery Business! The Ultimate Guide To Set Up A Bakery Business! Baking as a profession has been catching up lately, with a lot of people getting into the food business. A number of big and small bakery businesses have come up. But not all of them achieve success. Before even opening a bakery of your own, you need to research on aspects like which items you will sell, where will you get your raw materials from and so on. We have listed down all the ingredients you need to plan, start and grow a successful bakery. 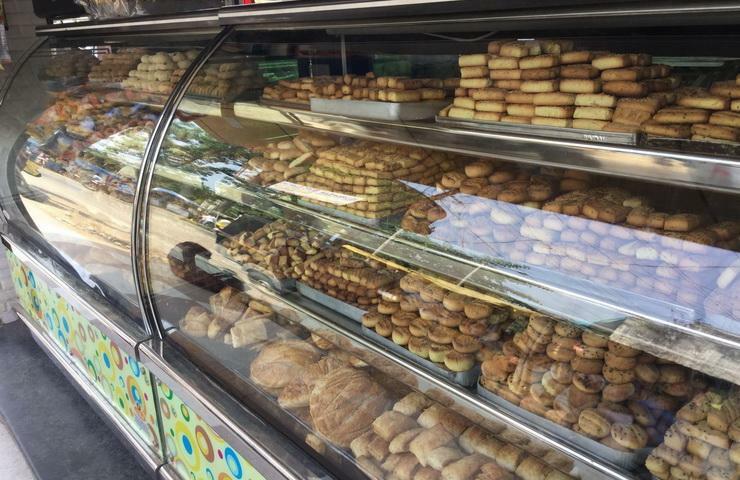 How To Set Up A Successful Bakery Business! Here are the steps you need to follow to set up a profitable bakery business! 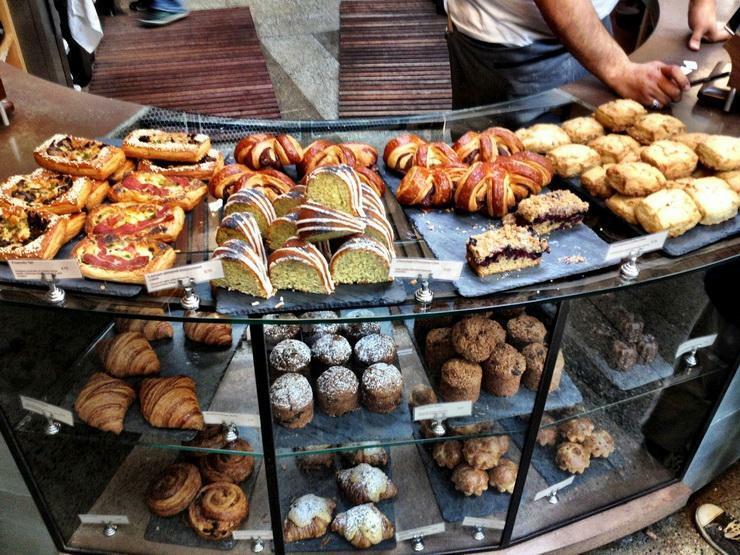 Decide on a good location for your bakery such as a reputed market or shopping area where the footfall is high. It is advisable to have a 500 sq ft shop, divided into two floors, so as to build a kitchen on one floor, and have display plus serving area at another. Choice of location also depends on your budget and whether you will purchase the shop or take it on rent. Also, make sure the place has a proper water supply and drainage facility. Get a NOC (No Objection Certificate) from the owner that he has no problem that his shop will be used for a food outlet purpose (in case of rent). The first three are most important ones to have at the start of the business, while the other two can be obtained once you begin operations. The food license can be applied for online through its website or through an agency. It is advisable to get a five-year food license. GST registration can be done with the help of a CA. The display area at the front end of the bakery should be well designed and created in a manner that each and every item is noticeable which will attract walk-in customers. You mainly require a display fridge for cakes and pastries. The display area should also have proper storage. The kitchen equipment needed in a bakery business is very expensive since each item is made up of stainless steel which is tough and long-lasting. Bakery shops need an expert manpower because both the taste as well as the presentation is important in case of baked goods. For a high-end bakery, you need a Head Chef, Middle-level Chef and helpers, plus service boys and a cashier at the display and the serving area. Salaries depend on their experience. 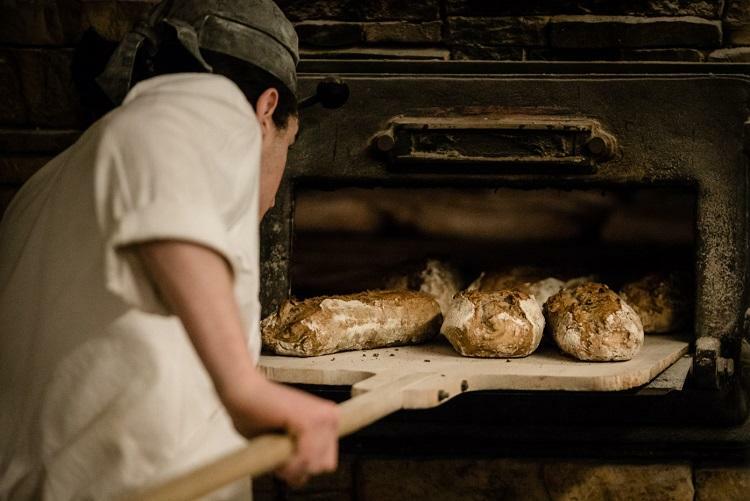 The total number of manpower depends on the scale of your bakery. Marketing and branding are two both very important factors for any business to flourish. Get a properly designed logo and display board from a professional designer. This will help you build a brand and a unique identity for your brand. Also, get a well-designed menu. You can also get some pamphlets printed for your bakery! You will need a POS software that will take care of your billing as well as inventory management. Ensure that the POS software has the features to manage the shelf life of the baked items and a good inventory management tool as you will be dealing with perishable products. Staff uniforms are often ignored when opening a food business. However, they are very important as they give a professional look to the bakery. All the staff members should look good, hygienic and well dressed. You can choose from different types of dresses such as chef coats, smart shirts and t-shirts. You should definitely invest in a landline along with two mobile numbers. Also, since almost everybody orders online, it is heavily recommended that you have your own bakery’s website. If you are a small business targeting local customers rather than a global audience, which you are in the case of a bakery, you need to get yourself listed on ‘Google My Business’. This really helps people to locate you easily. Do have an ‘Order Online’ widget on your website to attract younger customers. You can get a mobile app developed, once you have regular orders and a brand name for your bakery business. Hope this helps you before you actually go and start your bakery business. To get an unsecured business loan for your bakery, get in touch with Gromor today!